GizmoAudio | Get to know the new sound of clean distortion. Finally, overdrive and distortion guitar pedals with clarity. When it comes to distortion pedals, playability is right up there with versatility. 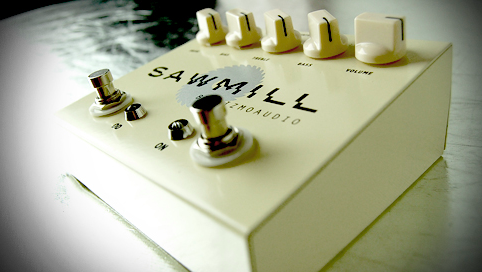 Be one of the first to experience the unique "clean distortion" capabilities of our pedals. This gives them a quality variable distortion and overdrive sound without the "muddiness" you get with other pedals. Depending on the force and manner of your pick attack, our pedal’s new innovative circuitry offers an incredible touch sensitivity that holds and maintains even with heavily saturated tones. This touch sensitivity allows you to change between clean to distorted/overdrive by only changing picking dynamics. Our pedals are made for the more discriminating guitar player. Made by a musician for musicians, you owe it to yourself to take them for a test drive. The clarity is obvious.